There was 1 in stock on 20 April 2019 at 11:40. 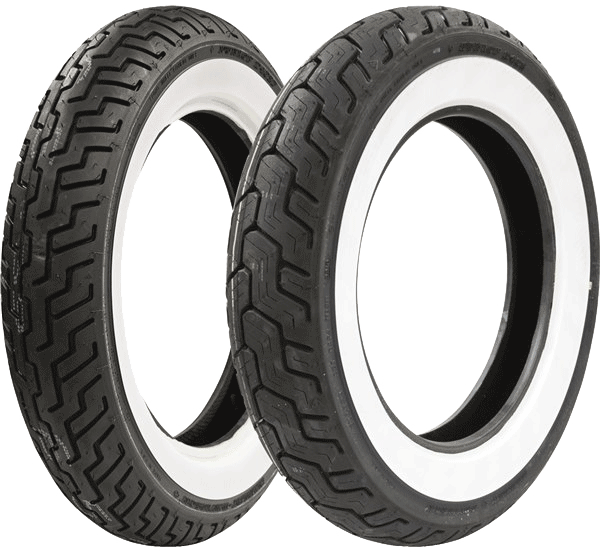 The D402 is the approved Harley-Davidson touring wide white wall tire. Built with a three-ply polyester casing with two fiberglass belts, the D402 offers greater load-carrying capacity and stability. Computer-optimized tread profile with offset center groove improves rider confidence over rain grooves and steel-grated bridges, while reducing cupping for even wear.